Holy Sarlaacs! 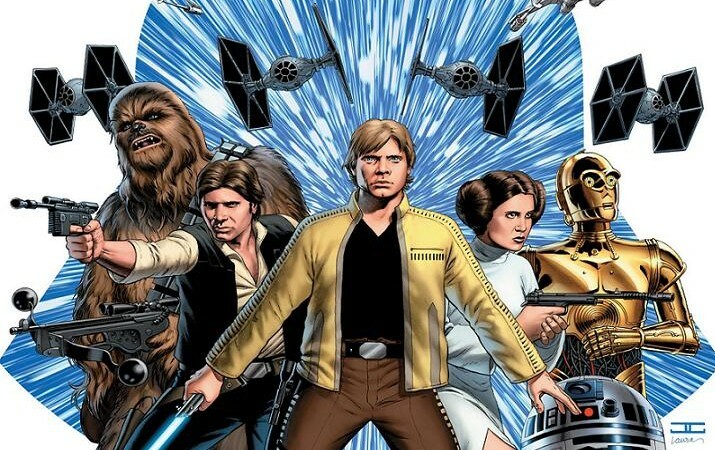 Marvel was completely able to repurpose Dark Horse Star Wars comics as if they were their own! While the comic fans among us can all agree we should pour one out for Dark Horse with every issue (Dark Horse is sitting here, like, I’m not dead! ), it’s still a huge gain for Marvel Unlimited members. As of the time of this initial reading order, there are 110 Star Wars series now available on Marvel Unlimited. This is both completely excellent (comics!) and completely intimidating (where do I start?). Making matters more interesting, publication date has about as much to do with Star Wars chronology as lawn care does with Tatooine. Unlike the Marvel Universe, Star Wars comics do not flow in (relative) order with the progression of time. Instead, each story fits somewhere in the immensely elaborate chronology of the Star Wars Universe. Below, you’ll find every Star Wars series within Marvel Unlimited placed within the context of the various eras and events of the Star Wars Universe. I’d reiterate two things before the guide: 1) This Star Wars reading order is entirely Marvel Unlimited specific. I’d love to hear suggestions about material Marvel should add to the library, but you won’t find that in the guide. And 2) Any and all feedback is very welcome! I’m much newer to Star Wars comics than Marvel, so I’m sure there are some holes here. You can also check out my list of the Marvel Star Wars comics in the new canon! Encyclopedia style history of the origins of the Star Wars Universe. C-3P0 and R2D2 with a family before the events of A New Hope. 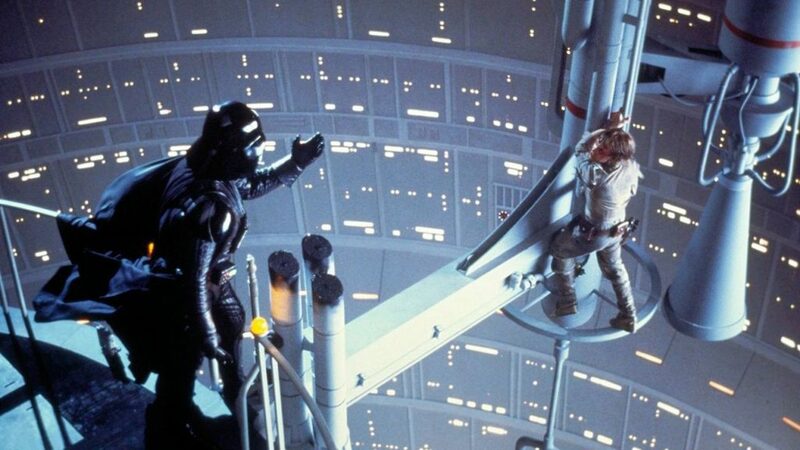 Boba gets a contract from Darth Vader. Baller. Begins as a faithful straight adaptation of the movie (1977). Nothing new to see here, but kind of fascinating to see Marvel’s licensed take on the property as it was becoming the biggest movie in the world. For example, in issue #2 Jabba looks totally different! Relatively faithful adaptation of the movie. 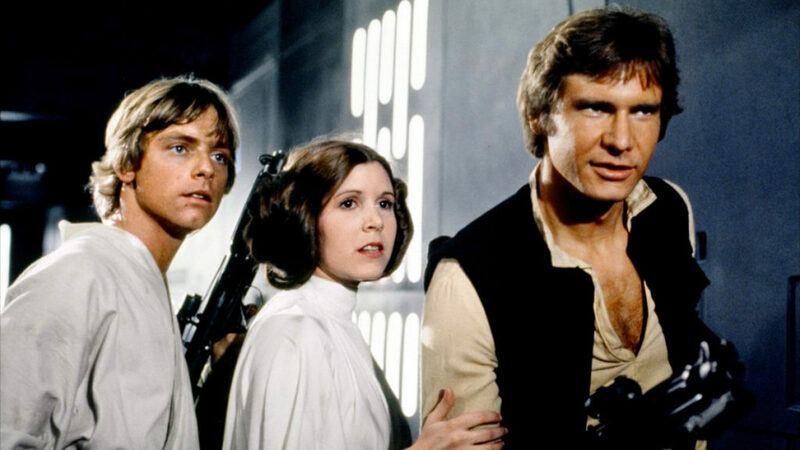 Marvel goes off the beaten path (and occasionally off the rails) with their adventures of Han, Luke, Leia, and Chewie in between a New Hope and Empire Strikes back. Came out in 2014 from one of my absolute favorite comic book creators, Matt Kindt. Highly recommend giving this series a look! Second annual issue was published the same week as Star Wars #65. Published before Star Wars #77. It’s worth noting here that the entire whole enormous list above represents 90% Dark Horse Star Wars expanded universe titles, and 10% Marvel’s original Star Wars comics that came out as the original three movies were being released in theaters (see also: literally forever ago). The below represents Marvel’s new take on the Star Wars universe, which is what we can now consider canon. Or, for those of you aren’t quite sure what medieval weaponry has to do with this, the new Marvel Star Wars comics (2015 onwards) are the comics that count. 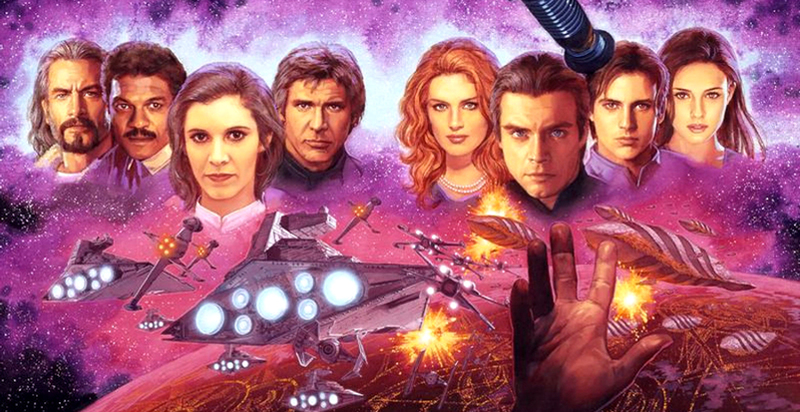 For the most updated guide to trades in Marvel’s Star Wars universe, check out the Marvel Star Wars comics canon guide. In an early, odd wrinkle, the last Star Wars comic published by Dark Horse is included as part of modern canon. Fans of The Clone Wars animated series are the only ones who need apply, but I did want to make sure to include the series as part of the new canon. You will not be confused if you skip this series and leap ahead to the first new Marvel comics. Kanan highlights the adventures of a Jedi Padawan who (miraculously) survives Lord Vader and Emperor Palpatine’s Jedi purge following the Revenge of the Sith . The series begins to approach A New Hope, and offers a nice transition from the prequels (hey, stop throwing bantha dung, I’m just mentioning them!) to the original trilogy. Charles Soule and Alex Maleev’s Lando miniseries exists in a semi-nebulous chronology, but it exists earlier in Lando’s career, likely before A New Hope. Leia’s solo ongoing title begins in the immediate aftermath of A New Hope (those ceremonious medals are still warm), and continues largely unhampered by the ongoing continuity of Star Wars and Darth Vader. You can read the first full trade before either title, and imagine this is her first mission prior to her appearance in Star Wars #1. Chewie’s first solo ongoing also occurs directly after the Battle of Yavin (A New Hope) and can be read prior to his appearances in Star Wars. Thanks for this!!! Now that the new Darth Maul book is out, will you update the canon stuff? Thanks again!!! 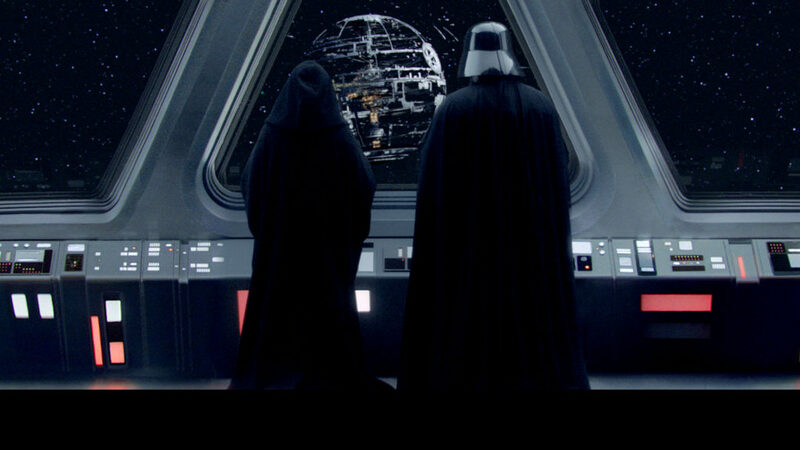 For the new era of Star Wars comics what about Star Wars 11 and 12, and Vader 12? Also, can you updated to reflect the recent as well? 😀 thank you very much for this resource! It would really be much appreciated to have some annotations as to authors and artists and perhaps even notability. Which are the “must reads” and which are not so good? may i ask where do you put marvel infinities? on the list. thanks coz im arranging it on my computer precisely as your guide. If you’re referring to Star Wars: Infinities, those are “What If?” stories for each of the original trilogy movies. So if you really wanted to put them on the timeline, you would put them right after each of the movie headers. Does anyone knows if there is comics featuring the end of the mandalorian war? Depends what you mean by ‘the end’. 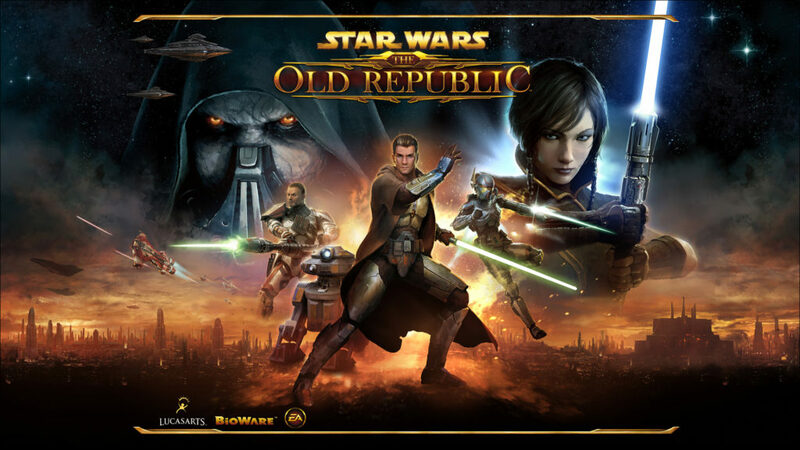 KotOR ends in 3962 before the battle of Yavin (that is, 2 years before the end of the Mandalorian Wars) but the next series in the timeline is the Old Republic, which starts about 300 years after that. So there’s stuff happening towards the end but nothing featuring the actual end of the war. Thanks for the guide, it’s really helpful! While I am at it, according to the timeline on wookieepedia (hope it’s OK to mention the competition on this blog!) there are some Star Wars Tales stories that go between Tales of the Jedi: The Sith War and Tales of the Jedi: Redemption (Shadow and light, first story in Tales #23) and between Kotor: War and The Old Republic (Unseen, unheard on tales #24, page 29). Since you don’t mention Tales of the Jedi anywhere in your reading order, I thought you might not have looked into it yet, so I’ll keep pointing these out as they come along (I just finished Kotor: War). This is awesome, thank you for the contribution! I just read another short story (Prototypes, on Star Wars Visionaries, p76), set between Lost Tribe of the Sith and Knight Errant. Hey man do you keep updating this list or it’s definite? I still can’t believe they put up that much Star Wars material practically over night. I figured they would bury the dark horse stuff so it didn’t compete with their new lines. I even went out and bought some trades because i figured that i wouldn’t be able to get them in a couple years. Dark Horse’s Star Wars comics are what got me into comics in the first place. I really like the first half of Knights of the Old Republic, but you have to know what you’re getting into. It only has minor similarities with the video game series. Similar Locations and stuff like that. The first half of the series is really good. The second half is still worth reading but it feels like the series kind of loses its way. That being said it’s pretty much a self contained story so you don’t need any prior star wars knowledge to appreciate it. I find it really interesting that Marvel’s new series titles Star Wars takes place at the same time as Brian Wood’s star wars series that just wrapped up as Dark Horse lost the license. Both deal with the same time period and issues but Dark Horse’s series is more serious and Marvel’s is more crazy fun. Not saying one is better than the other, it’s all in what you like. What about golden age of the Sith? So your missing all the canon comics…. the only comics that matter now..
Just so you know, may want to make another tab or something on those…. I’ll have to add as they become available on Marvel Unlimited. That’s a fair point about Marvel’s new canon, though. Saying that the Disney comics are “the only ones that matter now” is like saying the post-Secret Wars Marvel superhero comics are the only ones that matter now because the Ultimates line is ended. That doesn’t change the fact that the Ultimates line happened and still has plenty of great stories in it. I like to think of the Legends stories as similar to that line. Heck, some of the Legends stuff contains the best comics I’ve read. Legacy, Dark Times, Crimson Empire, and Tales are all fantastic and well worth reading! Better than Darth Maul: Son of Dathomir, which is “canon”, but I really didn’t enjoy it. Great list and video! A minor quibble, but it would also be great if you could comment on any notable writer/artist pairings from any of these comics? I’m curious if any comic creators I know had done any work in the Star Wars universe. I believe to reading order of the issues of Before the Republic is wrong. That said, as a newbie to this universe of comics, this list is super helpful. Thanks for all the work! Thanks for the assist, guide now updated! Any perspective on what is good/terrible? I have really been enjoying the Knights of the Old Republic series, and I am looking for a good series to burn through afterwards. Maybe a list of the ‘essentials’? I haven’t read anything and although the organization is nice, I’m still at a loss for where to begin and don’t want to pick a book that’s generally considered “bad”. Was hoping you would do this. Thanks man. Do Marvel Unlimited really not have star wars republic # 46-83? This is a successor to “Star Wars” that was retitled to Republic with issue 46 in 2002. This then gets replaced with Dark Times which is on your list, I just find it odd that Dark Times and Star Wars are on there but not the middle chapter. Also the Star Wars – Jedi issues are really an extension/tieins to the Republic stories and if you add Republic in them they hould be read in tandem. There is some cross-spoillage between Republic and Jedi. They have uploaded two huge chunks of issues starting in mid-April. Most of what is missing right now is Clone Wars comics. They will probably do another giant upload with all of the Republic issues, Clone Wars digests, and the Star Wars: The Clone Wars series. That is a very nice list and resource. You may want to make a separate page or annotation for comics that are part of the current canon. There are extremely few of these on Marvel Unlimited right now, though. Yeah that’s a good call for a future update!